1,500 more miles and a stack more smiles since my last update, the Clio continues to thrill and surprise in equal measure. 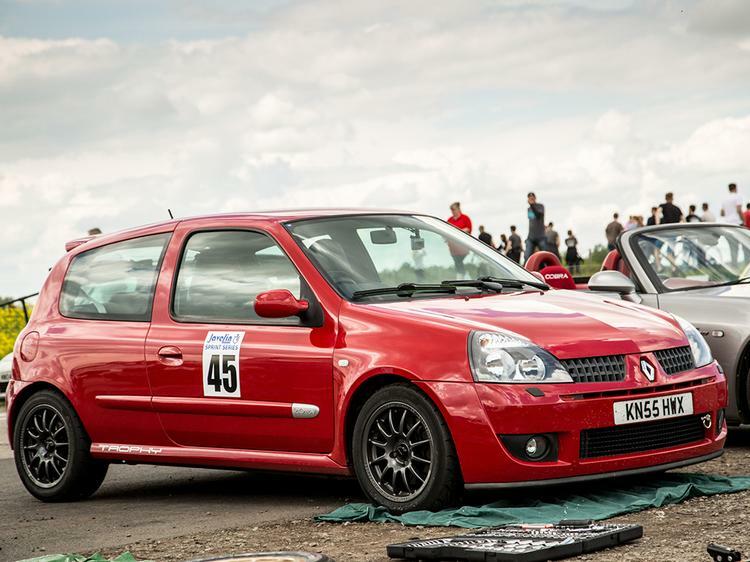 I’ve done 10,000 miles now in KN55 HWX and, for a 10-year-old French hot hatch, it’s been very reliable – I’ve had nothing more go wrong than a set of HT leads and a failed rear damper. Given all the issues I’ve had owning VW group cars, it has made me question the poor reliability stigma attached to French cars. Perhaps I’ve just been lucky. Some joke about sparkling performance. Content with my mechanical modifications but still keen to tinker, I fitted a set of Forge silicone coolant hoses to brighten up the engine bay. 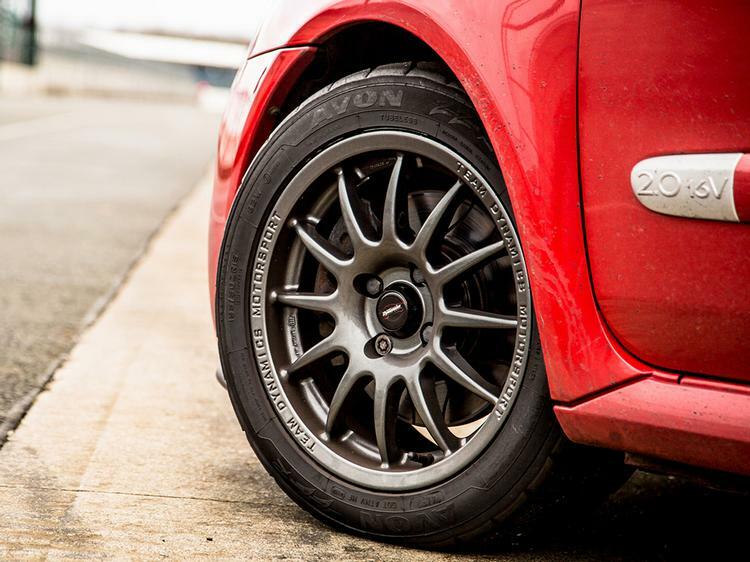 Perhaps a more significant treat was the addition of a set of track wheels in the shape of 15-inch Team Dynamics Pro Race 1.2s, wrapped in super sticky Avon ZZRs. Having previously worked at Caterham and driven thousands of miles on Avons during my time there, they seemed the natural choice. 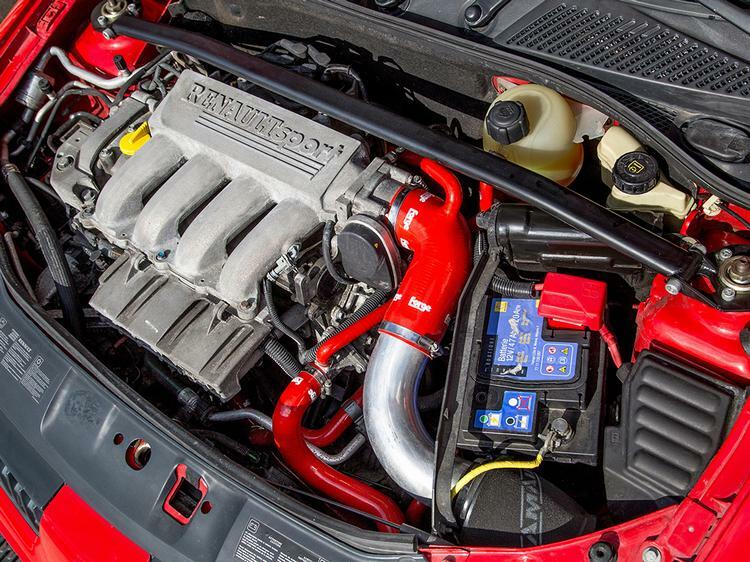 The ZZRs are used on the ballistic 310hp Seven 620 R, but how would they fare on a car that weighs twice as much and has considerably less power? 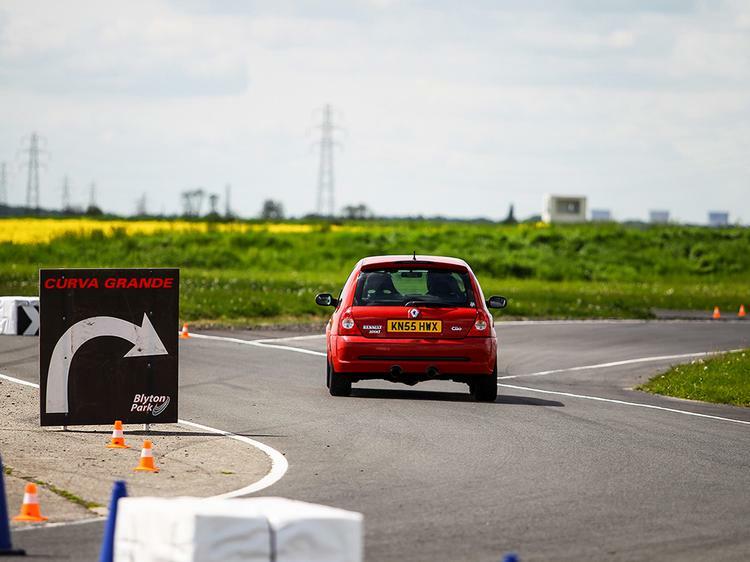 My worry was that with too much grip, the car wouldn’t be playful and lose its fun edge. Three track days in, I’m yet to find the limit on these tyres. Perhaps I’m not pushing hard enough, but they’re wearing extremely well, taking 2mm of tread off so far. They complement the suspension set up extremely well, and are easily the most noticeable change on track, spurring you on to push harder and harder each lap. Money far better spent than on an exhaust system or fancy seats. Thanks to PHer Rob Gosling, I also signed up to a couple of events in the Javelin Sprint Series this year, following his recommendation back inJanuary. 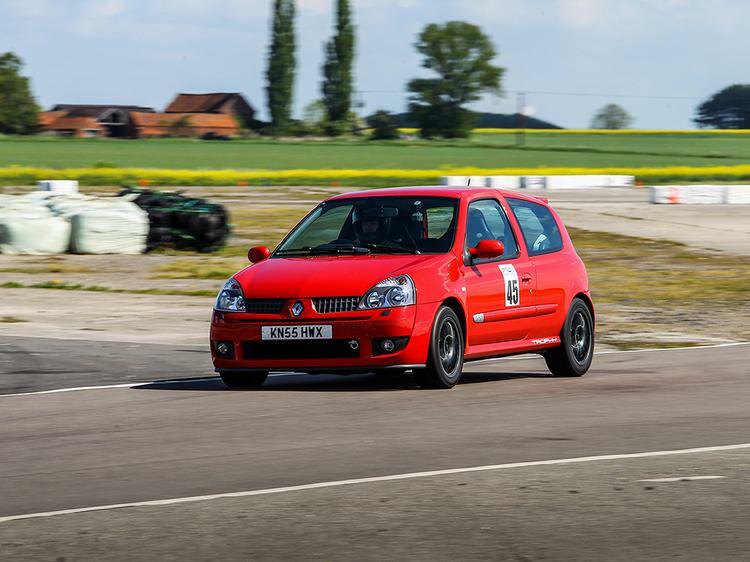 This was to be my first taste of competitive motorsport, and I was more nervous in anticipation of the first event at Blyton Park than any date or job interview I’ve ever had. The spare pants were packed! Signed up to compete against the clock, at a circuit I’ve never driven and with a bunch of people I’ve never met, it’s fair to say I was rather nervous. Not that I needed to be, as I don’t think I’ve met a friendlier bunch of people! Everyone I spoke to was more than willing to help with any issues or advice needed on scrutineering and how the event would operate. With my modifications I raced group D3, a road car class for 1,600-2,000cc naturally aspirated cars with limited modifications permitted. 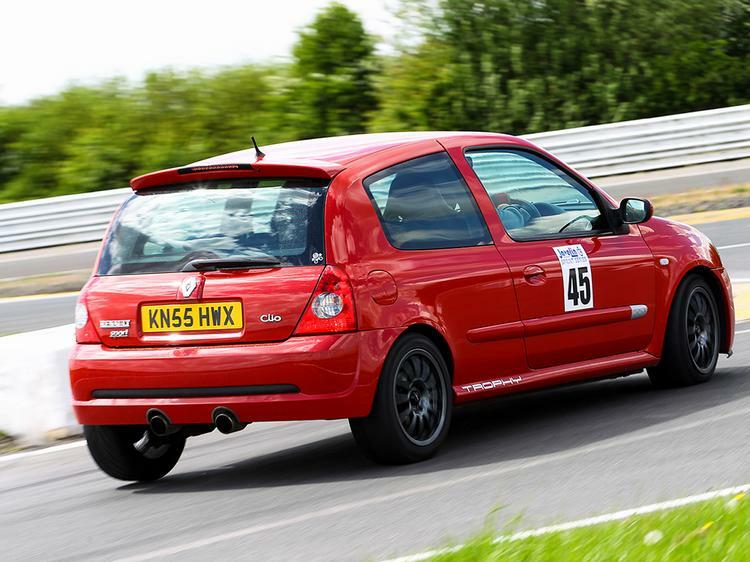 Alongside a couple of other Clios, an Elise, an S2000 and a Civic Type R, the competition looked tough. Still on four wheels? Must try harder! My first run was a bit of blur trying to focus on remembering the corners, which gear to be in and where to brake. Luckily it was just a practice run, ahead of the eight timed runs that were to follow. By the fourth run, I’d managed to move up into second place, which seemed unfathomable. 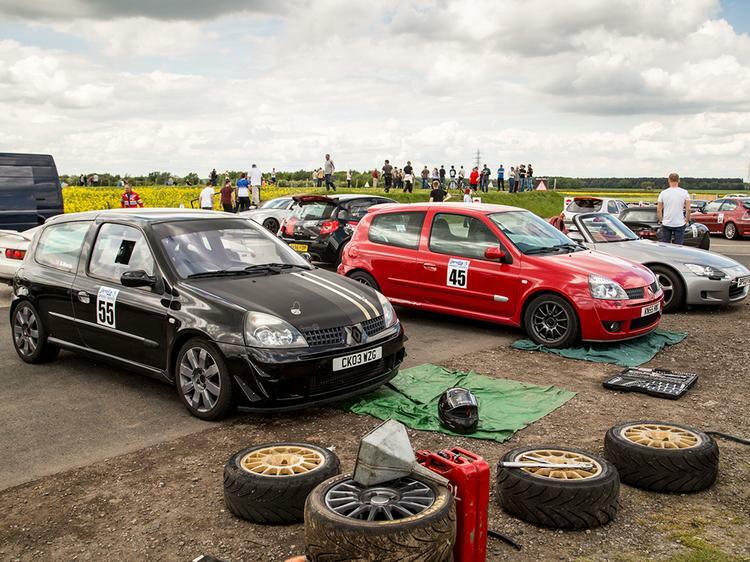 The Clio 200 holding first had a huge lead of over two seconds; to put that into perspective, there was just over one second between me and eighth place. I did everything to try and shave time off my lap; braking later, adjusting damping rates and tyre pressures, but I had no more talent in the bank and just couldn’t go any faster. Still, I was elated to finish in second place at my first competitive outing. My next sprint in the series is at Snetterton in October, with the aim to take on the full championship next year. But how to go faster? How to close in on that 200? Buy a new car, obviously. But more on that next time! Last month at a glance: Ben goes racing in the Trophy, comes back with a trophy – result! Cheerio diesel Skoda, hello limited edition Renault hero!